A full-service Southern New Jersey and Philadelphia based commercial real estate brokerage and advisory firm that provides a complete range of real estate services to commercial property owners, tenants, investors, developers, banks, commercial loan servicers and companies seeking high level, client-focused relationships. Jason Wolf began his career at Colliers International as a salesperson. 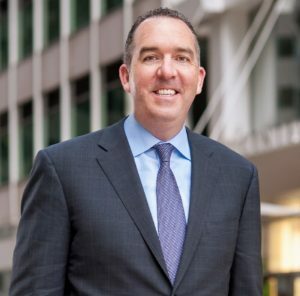 During his tenure with Colliers, Jason earned four promotions and was made a shareholder of the company. Jason Wolf has 24 years of Landlord, Tenant and Corporate representation experience specializing in office, retail, medical, industrial and investment properties in Southern New Jersey and the Philadelphia region. Jason also has extensive corporate services experience representing Fortune 500 and mid-size companies throughout the U.S.
Costar Power Broker Award- Recognized by CoStar Group (NASDAQ: CSGP) as one of the region’s “Top 20 Leasing/Sales Brokers”. Won in 2005, 2011, 2013, 2014, 2015, 2016 and 2017. Colliers Multi-City Assignment Award (MCA) – Received for most multi-city business closed within Colliers. Won twelve consecutive years 2000-2011. Colliers Everest Sales Volume Award – Highest sales volume within the office specialty division at Colliers. Won twelve consecutive years 2000-2011. Liberty Property Trust (NYSE: LRY) 2011 Largest Office Lease and Office Disposition/Investment Sale Award Recipient for Southern New Jersey.